Count Leonov Nikolayevich (Leo) Tolstoy (1828 -1910), in his book “What I Believe,” set out five principals of earthly happiness which no one can deny. Although in his book Tolstoy uses how rising in the Russian upper class cuts you off from these five principals. I will show how our shared illness of bipolar disorder cuts us off from these principals just as deeply and how finding and embracing these five principals we can finally live and find the happiness that has eluded us for so long. Today study after study are proving the benefits of connecting with nature for mental health. Google: “how nature helps mental health” and see what I mean. The key is connecting. Bipolar disorder shuts us in and shuts us off. In Mania, we are too busy to notice and in depression we are too down to care. However, if we truly make the effort to connect with nature, be it in local park or our own garden or at some great place like Yellowstone or the Grand Canyon, we will find that that this connection soothes us and slowly brings us back to happiness. Today, I must admit there is little work that can be said to be congenial, free or physical. Having gainful employment is helpful to mental health, but being stuck in a job you hate is just as bad for your mental health. I think my activities last weekend portray more what Tolstoy was getting at and in 1870 when this was written there were more of this type of activity available. I spent last weekend helping friends restore an old garden at the house they just purchased. It was once a beautiful garden, but had been neglected for many years. Each day was spent raking, pulling, cutting and hauling. You were thirsty, hungry and at the end of the day too exhausted to care. It was fun to share this work with good friends and the work made us happy both in the doing and seeing the result. This kind of work does lead to happiness, because it makes us feel useful and productive. To feel useful and productive as a bipolar sufferer is one road to happiness. Bipolar disorder destroys family life. Bipolar makes the sufferer selfish and self-centered. Bipolar makes the family members unsure of what is going on, what is right or wrong and ultimately angry. Yet if the sufferer can overcome their illness the joy they find in their families after mending the hurts can not be over stated. Families can provide the greatest happiness. Bipolar disorder causes isolation. When manic most of us are the life of the party and we collect a bunch of fair weather friends. When the crash happens, and it always does, our friends are no where to be found and we are alone with our pain. In stability, we can find happiness through our friendships and our circle can grow and grow. Bipolar causes the sufferer to be mentally, physically and spiritually unhealthy. We suffer from all sorts of secondary issues that are used to kill our emotional pain. But we can be restored to health. With a proper diagnosis and proper medication, we can become stable allowing us to fix our physical and spiritual maladies. Allowing us to live a good healthy life and pass on to the next without regret. All in all, Tolstoy was right, if we can embrace even a few of these five principals for happiness, we will find that happiness that has eluded us. I know I have. They Want To Do Better, But They Won’t. 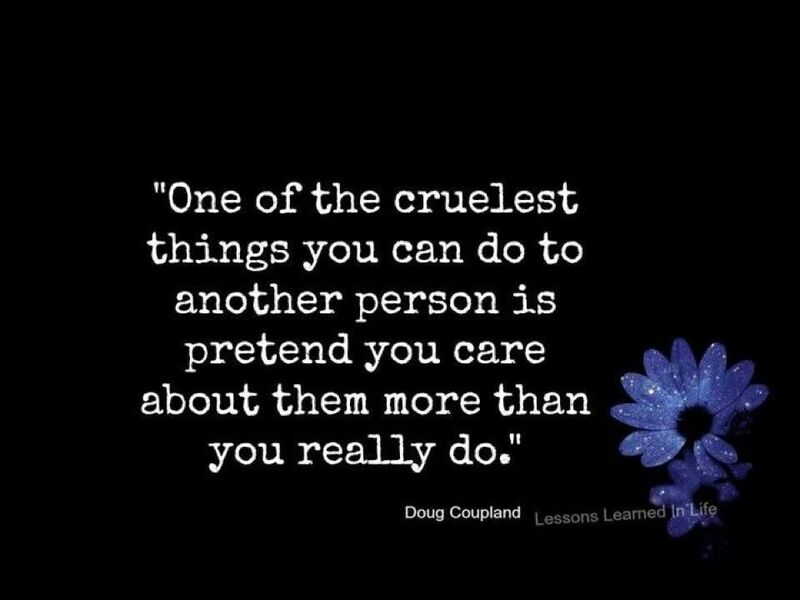 As the quote says, “The cruelest thing you can do to another person is pretend you care about them more than you really do .” When it comes to the treatment of Mental Health and Addiction issues this unfortunately is blatantly obvious. This treatment is totally in the hands of government or insurance plans or both, huge machines that have no feelings and are incapable of compassion. The people elected to government, unless directly affected by metal health issues, have other priorities. In May of 2017, there was a protest at our provincial legislator calling for less talk and more action on Mental Health issues. People got up made speeches, recounted tragic losses of loved ones who fell through the cracks of the system and spread awareness of how dire this issue is. Most of the people at the protest did not know that a local philanthropist and many others had been quietly raising funds to create a dedicated Mental Health Emergency Ward at one of our hospitals. This dedicated unit was planned to be constructed and opened in the fall of 2017. This was the chance for the government to step up. Instead we woke up to the headline “New (could be anywhere) mental health emergency wing that would ‘save lives guaranteed’ on hold. It is on hold because the money to build the unit is there but the government claims it has no money to staff this unit. The government has other priorities. To many at the protest it was like a slap in the face. This particular hospital emergency saw 60,000 patients last year of which 9,000 were for mental health and addiction issues (statistics from hospital foundation web site.) Those 9, 000 were the ones they saw. How many got tired of waiting and walked away before they were seen. It is a fact those of us with mental health issues are not considered critical in a regular emergency room. We are not bleeding or having a heart attack, so they don’t think we will die. The problem is many of us just might die, because if we are sitting in an emergency room that’s usually how we are thinking. This is just one instance in many. What this one instance does show is that relying on government or insurance policies to fix our mental health problems is never going to be the solution. We must act ourselves and learn Mental Health First Aid to help each other. We need professional help, you bet. But if we stand by one person each and demand they get help, waiting with them, encouraging them. Governments may just take notice because there is this army of people that don’t need them and therefore make them worry they will lose votes. Don’t just talk, look for someone to help. Please subscribe to this blog, or check back every Monday at 12:00 p.m. CST. Like us on Facebook. Follow us on twitter. This is the second part of strong mind, strong body. Where’s the spirit? Or how to become a whole person even with bipolar. We are still talking about developing mental toughness. On this topic, I can only share what I have done and experienced, in the order I have done it. It is meant to as a guide, not an order. We always need to remember that bipolar is as individual as the people who suffer from it. Therefore, what works for me and my recovery, may be detrimental to you and your recovery. But there are generalities that work for everyone without them we couldn’t be diagnosed. What I have highlighted are the generalities. These are areas that everyone should look at. The first principal of mental toughness I practiced was Asking for Help. The hardest part of this was getting over my pride. In asking for help I realized it was not a sign of weakness but a sign I wanted to change. I was confident I could not do any of this myself. I also needed a mirror through which to see improvement. The kind of help I am talking about here is not someone who charges a hundred and twenty dollars an hour, but someone who will listen to you without judgement and be supportive. What asking for help taught me is I don’t have to go it on my own and I can build a nonprofessional support group. I did build this support group and all have become friends. I also learned that the isolationist attitude I held was part of my illness, not a function of reality. The reality is we all need help and support. We need to learn to ask for help when we need it. It is through asking for help that I learned to properly ask for what I needed in other areas without fear. The second principal of mental toughness I practiced was Gratitude. We all have things we take for granted that we should really be grateful for. That is where I started, I worked at becoming grateful I was alive, because if my mind had its way that is not what I would be. I wrote down that I was grateful to be alive every day for a month. That one sentence. Then I started to look for other things to be grateful for and kept building my list. I started this process in about 2013 and have never stopped looking for new things to be grateful for. To start learning gratitude, write down just one thing you are grateful for each day before bed and meditate on that one thing as you fall asleep. Then expand your list and begin to constantly look for things to be grateful for. Soon you will develop an attitude of gratitude. What this attitude of gratitude gives you is the ability to appreciate the little things life has to offer you far more that you ever have in the past. The third principal of mental toughness I started to practice was Boundaries. Learning to set boundaries was very difficult for me. I found this so difficult I finally found a class on setting boundaries and took it, twice. There is one universal truth that I want to share with you that is crucial in setting a boundary. “You Cannot Take the Other Persons Feelings into Account.” That is what we, as bipolar sufferers, always seem to do, allow the feelings of others to trump our own feelings, needs and wants. In that way, they always win. The real benefit of learning to set clear boundaries and reinforcing them is return our self-respect. The other benefit for me was I was finally able to say, “No” and not feel guilty. The fourth principal of mental toughness that I started to practice was Accepting myself fully. It was during the second time through the boundaries class that I came across the quote that changed my life. Jesus said, “If those who lead you say to you, ‘See, the kingdom is in the sky,’ then the birds of the sky will precede you. If they say to you, ‘It is in the sea,’ then the fish will precede you. Rather, the kingdom is inside of you, and it is outside of you. When you come to know yourselves, then you will become known, and you will realize that it is you who are the sons of the living father. But if you will not know yourselves, you dwell in poverty and it is you who are that poverty.” The Gospel of Thomas Verse 3 Lambdin translation. I could not get that line out of my head, it rang around in there constantly. 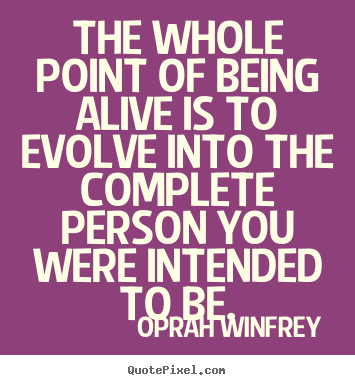 Until I admitted to myself that, “no I had no idea who I was” and I wanted to really change that and know who I was. I was tired of living in poverty and being an impoverished person, mentally, physically and most of all spiritually. I wanted to know my self and be known, but mostly understand me and how this illness affects me. I had kind of begun the process, I was getting counseling. But this is where it all changed I went from following direction (doing as the counselor suggested) to actively seeking myself and my own direction and really applying it. I worked with Randy two more years after the change started. He kept me in line and out that of giddy mania we fall into when we have a eureka moment. He taught me to ask myself the right questions. Out of all of this came this one fact, I did not like myself at that time, but I had hope. That was the ingredient that made accepting me as I was in this second possible. Hope I wouldn’t always feel like this. I have learned to accept myself fully as I am right now because I am constantly changing and growing, plus I have hope it will continue. What are the benefits of self-acceptance? I no longer blame others or compare myself to others. The big change is I don’t wish that I had what someone else has any longer. I can get my own, thanks. I no longer feel less than anyone else. Oh, there are better athletes and even a few better workers than I may be, but I strive each day to be the best me I can be. The only person that I am trying to be better than is the person I was yesterday. 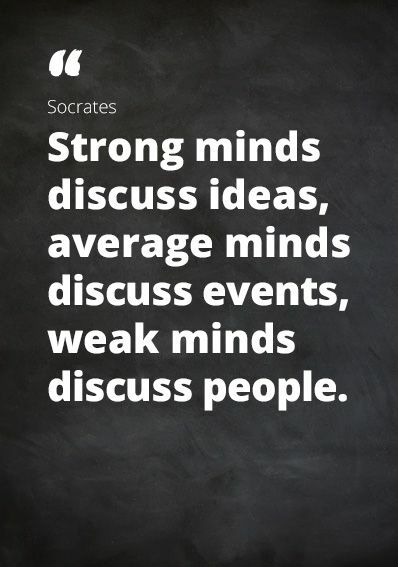 Come back next week and we will continue to look at this issue of strong mind, strong body. Where’s the spirit? Strong Mind, Strong Body. Where’s The Soul? Recently I was reading an article entitled “Strong mind, strong body”, which lead me to ask this one question, “What about spirit?” The human spirit seems to a persona non-grata in our current culture and yet we are getting scientific study after scientific study that says cultivating a spiritual self along with strong mind and being in good physical condition makes you a whole person. These studies also indicate that gaining better physical condition and strengthening both your mind and spirit will enable you to better battle this condition called bipolar that we share. For the next few weeks I am going to discuss these three areas one at a time and then show how tying them together makes us a whole person. Most of us seem to be either a third of a person or at most two thirds of a person when we suffer from bipolar. When I say a whole person of mind, body and spirit, I always mean a whole person who has bipolar disorder. Bipolar is for life, but it does not have to control our lives. In my own case I have been studying the area of mental toughness and looking for, and incorporating, the ingredients that make up mental toughness for the last four or five years. Since I firmly believe that our battle is solely with our minds. I wanted to learn what was required to not have to fight that mind so much any more, to fortify it against the negative and rein it in from the exuberant. There are many lists on the internet that share the ingredients of mental toughness and I recommend that you do look up mental toughness on your favourite search engine. As my goal is to help others I want to share the process I am using to incorporate the principals of mental toughness into my life. I am becoming stronger mentally so these things are working. Is it perfect? No, it is a process, I really struggled last winter but I was never totally knocked out of the game like I always was in the past. I know things are improving. Like anything else to become mentally strong is hard work. It requires consistent practice of certain principals, many of which can be started all at once. Other principals are like steps above the basic principals. Once you are practicing the basics with some proficiency it is easy to step up to incorporate these other principals. But practice we must, every day. Next week I will share the principals of Mental Toughness as I see them and the order in which I incorporated them. The great North American celebrations happened this weekend, Canada turned 150 on July 1st, The USA will turn 241 tomorrow. In the United States, the great heath care reform is being talked about and nothing much is being done. Its all scare tactics and disagreement. Personally, I find that sad. As a Canadian I have great empathy for my many American friends who share this illness we call bipolar. But I also count my blessing everyday as the luckiest bipolar suffer there is. There are few who have the access to trained professionals at every level that I do, I work with them. My GP, my PDoc, my Counselor are all fellow employees. They see me, if not daily, at least once a week. They all know me and are not afraid to ask if they see I am falling off the rails. That said, to battle this illness we all need access to trained professionals. The stories of people who can’t see a PDoc unless they are hospitalized and that meeting ends on discharge, saddened me. Stories of people all over the world who can’t have sustained counselling that lasts long enough for them to learn to battle their demons on their own, broke my heart. Stories of people who find it easier to self-medicate because they can’t afford the prescribed meds, made me want to cry. Then I asked myself what can I do? I can start this blog, because life, even with bipolar should be ducky. In this blog, I try to pass on the meager tools I have learned and use to maybe help others but also links to the writing of others that are far better informed than I am in the blog of the week segment. We can as a community help each other. I also want to show that many professionals take their time to write articles and blogs with the same goal – to help others.